A KHBS/KHOG/Fort Smith reporter quit his job last week following an assignment to cover storm damage. FTV Live has the scoop on Jay Plyburn's abrupt resignation after being sent out to cover possible storm damage in the area following last week's storms. 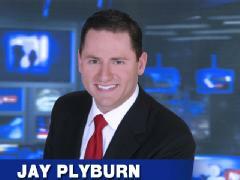 In an email to coworkers Plyburn wrote, "Lightning was striking all around us. This was the single most frightening experience of my life." "When the day was done and we finally got back to the station, it was business as usual. No managers had any sort of feedback...just a new list of things they wanted done." You know sweeps are over when main on air anchors start taking vacations...and when departure announcements begin. With that said, KHBS/KHOG reporter Tony Russell has announced he will be departing the station. Russell is set to join KOTV in Tulsa as a reporter. This hire snuck up on me...KTHV/Channel 11/Little Rock has hired a new weekend anchor/reporter. Phil Buck joined the station this month. According to his bio, Buck began his broadcasting career at the CBS affiliate in Missoula, Montana. He worked his way up from part-time camera operator to eventually become the station's Sports Director, doing play-by-play and hosting coach's shows for the University of Montana football and basketball teams. After taking a job in the sports department at the CBS affiliate in Seattle, where he had the opportunity to cover teams he grew up watching like the Seahawks, Mariners and Washington Huskies, Phil returned to his previous station in Montana to anchor the morning news. Buck replaces Pam Baccam who left the station earlier this year. No news is good news huh... Well we find ourselves in sweeps period once again. As I've said before all the special investigations..exclusives...and contests never surprise me. One thing can be said I can't see the stations doing anything new to gain viewers. I often wonder if the stations have done any surveys themselves to find out what viewers want...or even potential viewers. Do viewers tune it for a specific anchor?...Do they tune in specifically for the news, weather, sports? Or do they tune to a station because that's one they've always watched? OR to win a brand new iPAD? One thing is for certain I always look forward to sweeps being over. Why not just do news like you do in non sweeps months. Lauren Scott has returned to KTHV/Channel 11/Little Rock. Scott left the station early this year. 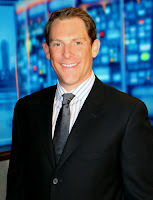 Scott joined KTHV in August 2011 from KATV/Channel 7.